SAINT PAUL, MINN. - The battle for the GOLDEN SKATE is here. 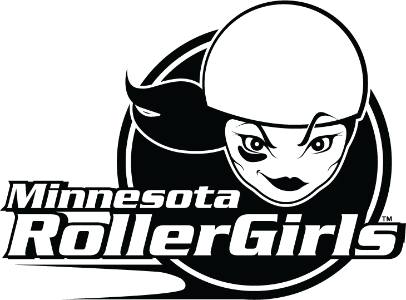 The Minnesota RollerGirls (MNRG) will host their final home-team bout of Season 14 on Saturday, Mar. 30th at 7:00 p.m. in the Legendary Roy Wilkins Auditorium. The Atomic Bombshells are taking on the Dagger Dolls for 3rd place, followed by the Rockits battling the Garda Belts for the championship game. This month, MNRG is partnering with Purple Playground, Wildlife Rehabilitation Center of Minnesota, and longtime partner, the Ann Bancroft Foundation. In honor of MNRG's 15th anniversary, a new award will be rolled out this season, titled "The Season 15 Crystal Skater." 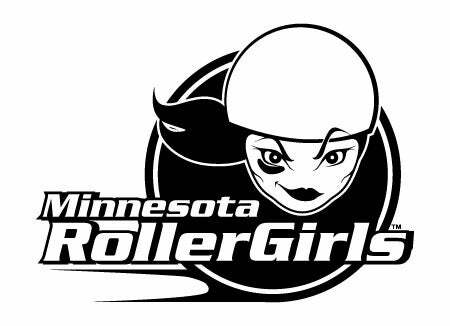 This award will be presented to a roller derby athlete whose hard work on and off the track is representative of the MNRG commitment to the sport and community. Only Season 15 rookies are eligible for this award, so come out to welcome MNRG rookies and see who takes the award home at season's end. This year's season-long charitable beneficiaries are the Ann Bancroft Foundation's Let Me Play Grant, which funds athletic and dance equipment or participation fees for girls ages 5 through high school graduation, and the Wildlife Rehabilitation Center. The Wildlife Rehabilitation Center provides quality care for injured, sick or orphaned animals. The charity for the evening is Purple Playground, which envisions a world where Prince's legacy of positivity and giving continues in perpetuity. Please bring composition notebooks or journals, songwriting notebooks, purple pens, pencils and erasers, pencil cases, tootsie pops and decorative stickers to support Purple Playground. Bring an item for Purple Playground and receive a $2 off your ticket. Doors open at 6:00 pm. The first 200 fans to arrive will receive a limited edition t-shirt. Get there early for a pre-show bout featuring the Frostbite, Minnesota RollerGirls Junior team serving skaters ages 4-17. The half-time show will feature a performance by The Bad Man. After the bout, join the Minnesota RollerGirls for the official after party at Tom Reid's Hockey City Pub in St. Paul. General admission tickets to the event are $15 in advance/$17 at the door. Tickets are available at local outlets, Ticketmaster.com or the Roy Wilkins Auditorium Box Office. Children nine and under have free general admission. Visit mnrollergirls.com for more details.